In the recent leak about Apple’s 2017 flagship showcased the full iPhone line-up which is poised to be the company’s most interesting and ambitious yet. By the time September rolls around, it’s widely believed Apple will release three brand new iPhone models: an iPhone 7s, an iPhone 7s Plus, and last but not least, the highly-anticipated iPhone 8. As the leaked image, iPhone 7s and 7s Plus will sport the same form factor as the iPhone 7, the iPhone 8 will introduce a completely new design. 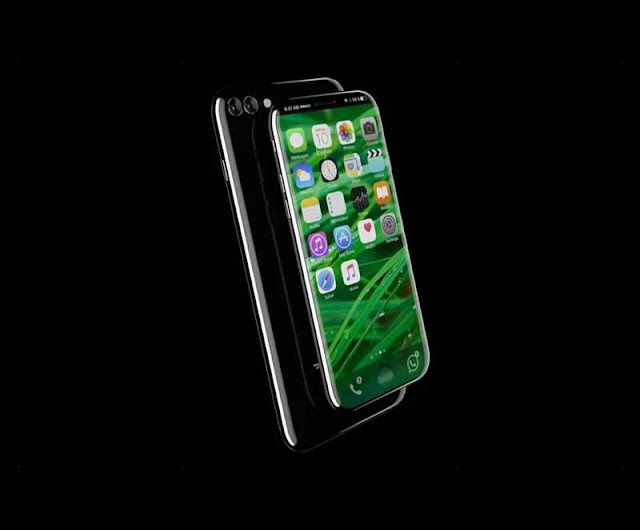 As per the earlier reports, iPhone 8 design will complete with an advanced edge-to-edge 5.8-inch OLED display that will essentially take up the entire front end of the device. As per the other reports published online, reports from the rumor mill suggest that the bezels surrounding the iPhone 8 display will only be about 4mm all around, which is all supported by the recent dummy leak about the iPhone 8. While the photo above doesn’t shed a whole lot of new light on Apple’s 2017 iPhone lineup, it does suggest that the iPhone 8 may be slightly taller than the iPhone 7s. 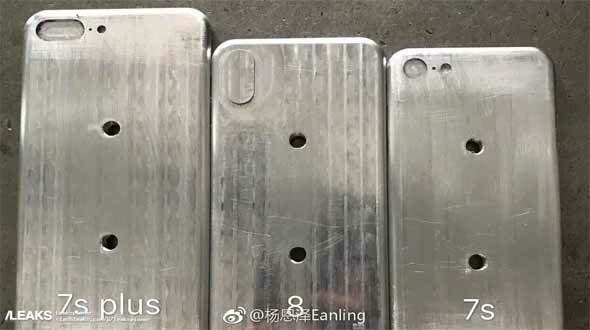 While previous reports claimed that the iPhone 8 will pack a display the size of an iPhone 7 Plus into the form factor of an iPhone 7, the iPhone 8 may actually be slightly larger if we assume that the molds above were all aligned uniformly. Another point worth noting is that the camera module on the iPhone 8 is oriented vertically, a design which echoes a number of leaked schematics and designs we’ve seen over the past few months. It’s widely believed that the vertical orientation of the iPhone 8’s camera module has to do with the rumored augmented reality features Apple is planning to show off later this year. Anyways we are approaching June and this is the time when iPhone design gets locked, there’s a good chance that the number of leaked iPhone 8 moldings and schematics will rise significantly in the weeks and months ahead of the iPhone 8 release.